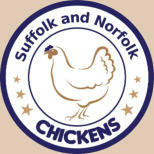 info@suffolkandnorfolkchickens.co.uk Transportation If possible, please bring a box or pet carrier when collecting chickens. We do have new boxes available if necessary but there is a charge of £2 per box. Opening Times We are available by appointment / prior arrangement but try to be as flexible as possible. We ask that you contact us to arrange a visit.